Decorative concrete is still preferred by most property owners in Hawaii because of its aesthetic appeal and flexibility. It can be used for pavements, flooring, kitchens, countertops, patios and in every nook and cranny of your lovely home at a price you can afford. And because it can mimic the appearance of any material, you can now have projects look like the most expensive natural stone, wood, or brick at virtually a tenth of its price! However, care, expertise and experience are required to create wonderful custom concrete structures that will last for years. 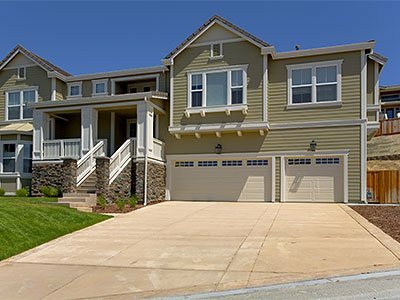 Experts in this material know that incorrect formula and texture, type of aggregates used, and application techniques can ruin a concrete project as this can lead to chipping, cracking, and uneven texture or color. It is also very important to analyze the soil quality before doing a custom concrete project because loose soil can affect the stability of a structure. Cracks cannot be avoided, so control joints must be placed where appropriate. Various decorative techniques can be applied on custom concrete projects. The most common method used in enhancing the look of any concrete structure is through staining and stamping. The difference between the two lies with the process and application. Stamped concrete is the process of adding color or texture to a surface to mimic the characteristics of natural stones, bricks, or wood. Molds are stamped on a concrete surface while it is still in its plastic state. Concrete staining, on the other hand, is a process that uses water-based or acid-based stains to achieve the desired look on the surface. These stains result in unique colors on the surface. Countertops. Make your countertops look as if they are made of granite or marble for that shiny, elegant look. Pathways. Transform your pathways into brilliant works of art by using custom concrete that resembles bricks or natural stones. Driveways. Your driveways never have to look drab and gray again once you use decorative concrete. Pool decks and surrounds. You can use decorative concrete techniques to make your pool decks resemble wood or natural stone. They're much cheaper to install. Others. Custom concrete also looks good on walls, patios, bathrooms--the limit lies only in your imagination. 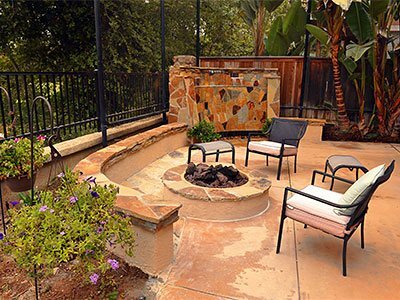 Unlimited Landscape Hawaii has a team of masons who have gathered years of experience and have gone through intensive training on custom concrete works. We also follow systematic procedures when working on decorative concrete projects. We will conduct an assessment of your area and give proper recommendations. Then we will suggest designs and colors that will suit a particular area in your home or landscape. For a more personal touch, you can suggest your own design and color schemes. At Unlimited Landscape Hawaii, we build custom concrete structures that you and your loved ones will enjoy for a long period of time. We don't cut corners and we don't use substandard materials. That is why most of our clients from Wahiawa are more than satisfied with the results of our concrete works.